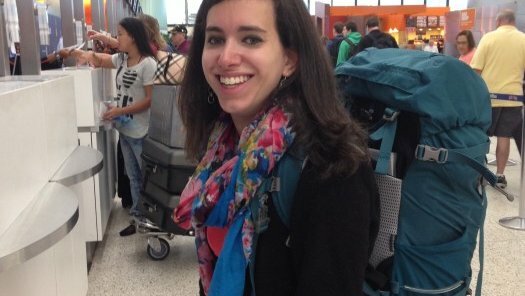 One of the most common blog posts written by Peace Corps Volunteers (PCVs) is about packing. My blog post about packing for Peace Corps in Cameroon is a bit different because I’m focusing on how the packing experience may be different for people with disabilities, especially those with hearing loss, like me. I use cochlear implants, a technology that allows people who are deaf to hear, and need some extra preparation to make sure I am ready for my service. As a person with hearing loss, I will need cochlear implant sound processors, rechargeable batteries, disposable hearing aid batteries, microphone protectors and a DriAid Kit. Because I can’t easily replace broken sound processors and the parts, I have to bring extras to ensure that I will never be off air. Even though cochlear implant manufacturers have offices throughout the world, it’s not as simple as calling up the nearest office and asking them to ship new parts. Factors such as warranty and health regulations in the country where the office is located can delay the order of replacement parts. For example, in the U.S. the company that manufactures my cochlear implants cannot ship products outside of the U.S. and Canada. We have to also think about home devices that may not be found abroad. For instance, I use an alarm clock with a bed shaker instead of one that makes noise because I don’t wear my hearing devices while sleeping. Most homes and hotels I visit won’t have an alarm clock that shakes, which means that I need to bring my own clock. Fortunately there are portable alarm models that are compact and easy to carry. A simple search on Amazon, “travel alarm clocks for hearing impaired,” will yield a good number of choices of travel alarm clocks. While disposable hearing aid batteries mean I don’t need electricity to use my hearing devices on a daily basis, I still want to have the option of using rechargeable batteries: they make the sound processors more waterproof and safer to use in the rain and any water activities. This means that I need to bring solar panels to recharge the batteries because I will be living with inconsistent electricity. If I am living in a hot and/or humid climate, it’s crucial that I bring a DriAid Kit or dehumidifier device for my hearing devices so that all the moisture from humidity and sweat can be removed. Because I will not be able to replace my hearing devices easily, bringing a DriAid Kit is even more important to ensure that my hearing devices are fully protected. DriAid kits are beneficial for anyone who uses not only cochlear implants and hearing aids, but any electronic devices that you need to use to be able to function in life. Because I have mild night vision issues, meaning that I don’t see well at night where it’s dim or dark, I need to bring flashlights to help me see at night. I am bringing not only an ordinary flashlight but also a headlight and a flashlight that can be powered by cranking. Those who are legally blind would likely need to bring a white cane and a spare in case one gets stolen. Like any other PCV, I’ve also packed clothes, shoes, electronics, toiletries and medicines.